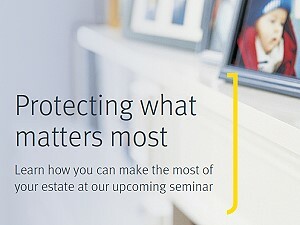 You are invited to an exclusive event on an important matter for us all – protecting family and legacy. There are many complex moving parts to an estate, but the advice of experienced professionals can help simplify your planning. Please join experts from RBC and Oakes Law Office as we discuss financial, taxation and legal strategies that can help you prepare for the unexpected with confidence.